Breakfast: I don't have an appetite in the morning so I will usually just have some bulletproof coffee. When I go out it's iced coffee from Dunkin Donuts or Starbucks. 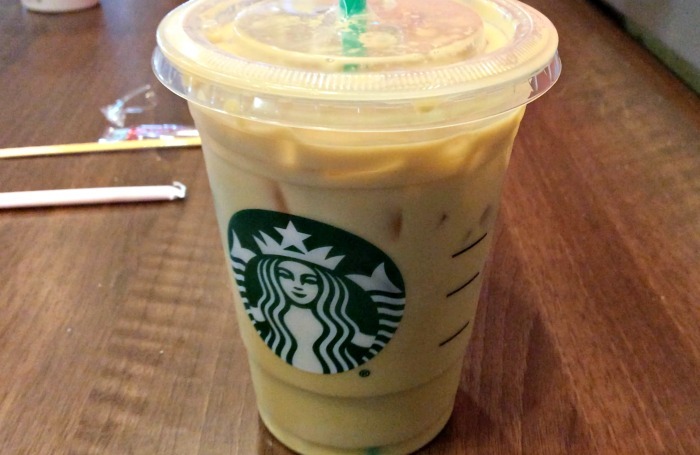 Lately I have been visiting my local Starbucks and having an unsweetened iced coffee with some sugar-free vanilla syrup and sugar-free caramel syrup. 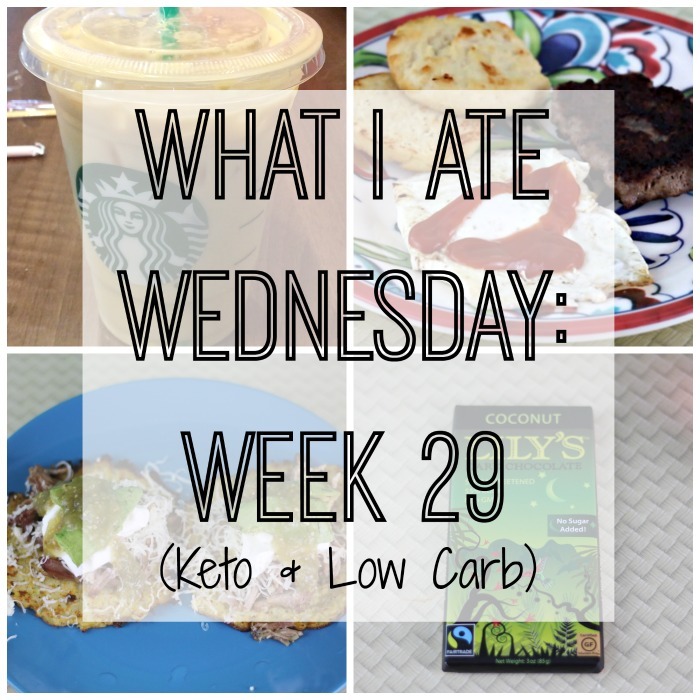 I have it with heavy whipping cream so it keeps me full until 2pm-4pm where I will usually have some lunch. I like to go out for walks with my daughter early in the morning to beat the after school crowd. The Starbucks is super convenient for me to go to since it is on the way to the park. Lunch: I have been having breakfast for lunch lately. I take the premium pork breakfast sausage roll from Aldi and split it into two ounce servings. I put each serving in a small plastic baggie and freeze them until I am ready to use them. At night I will take one of the packets from the freezer and put it in the fridge to eat the next day. For my breakfast-lunch I had a serving of sausage and pan fried it. I cooked an egg in the grease left over from the sausage. 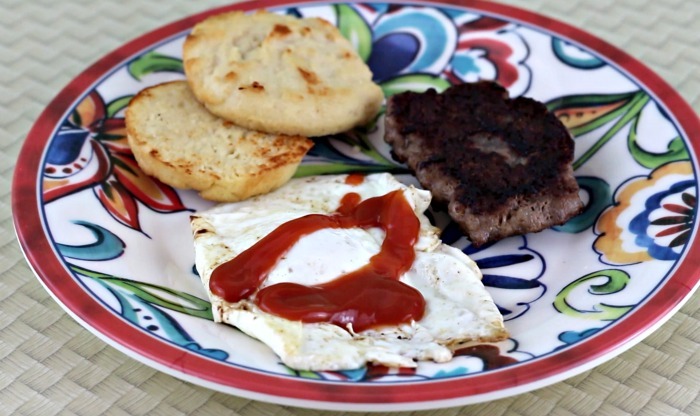 I also had a low carb biscuit on the side to dip into my egg that I added some reduced sugar ketchup to. Dinner: One of my favorite things to eat out is from a Puerto Rican restaurant and it's Pernil (pork shoulder) and aguacate (avocado). My husband got me a large order so I ate half of it yesterday and the other half today. I decided to make some cauliflower tortillas to go with it and have it with the leftover avocado, salsa verde and sour cream. 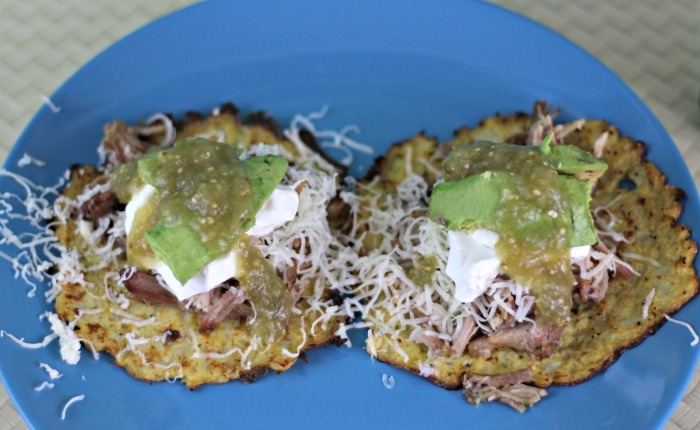 The tortillas were ok but at 4g of carb per tortilla it was a bit high for me for that size. 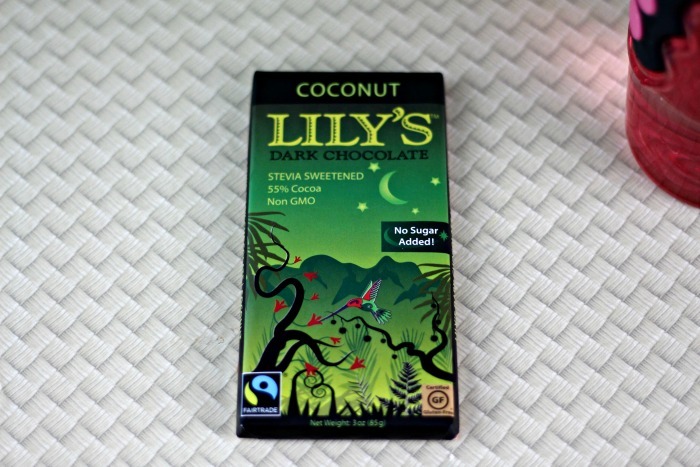 Snacks: I just had a couple of squares of coconut flavored Lily's chocolate bar. It tastes just like a Mounds chocolate bar. I ate a quarter of the bar and it was so satisfying.